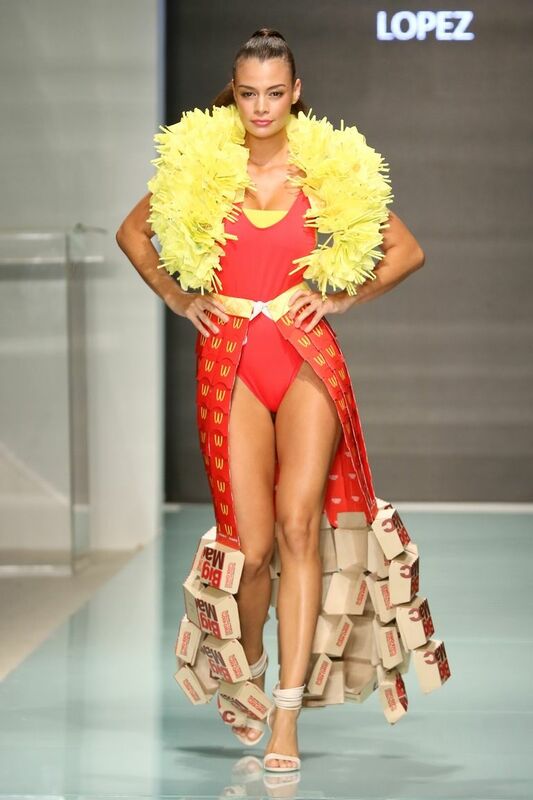 As much as we’re currently yawning for food seeing McDonald’s parading everywhere on the catwalk, we easily get attracted to creativity when it comes to fashion. 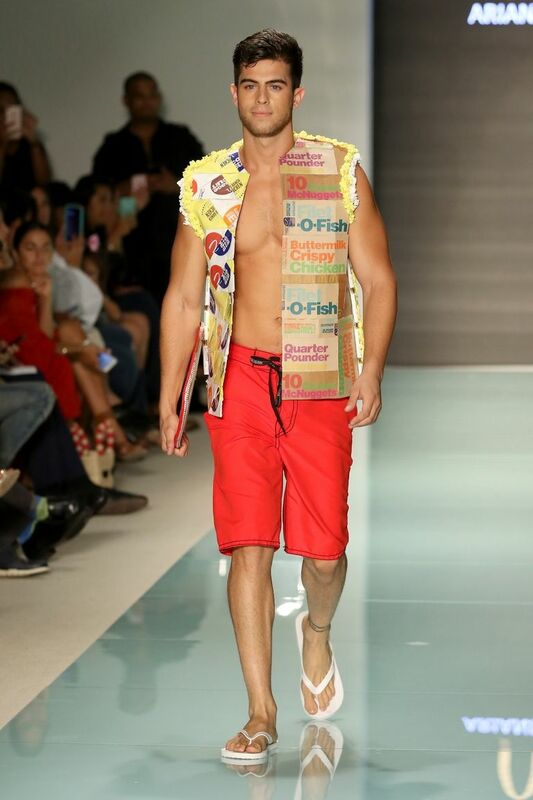 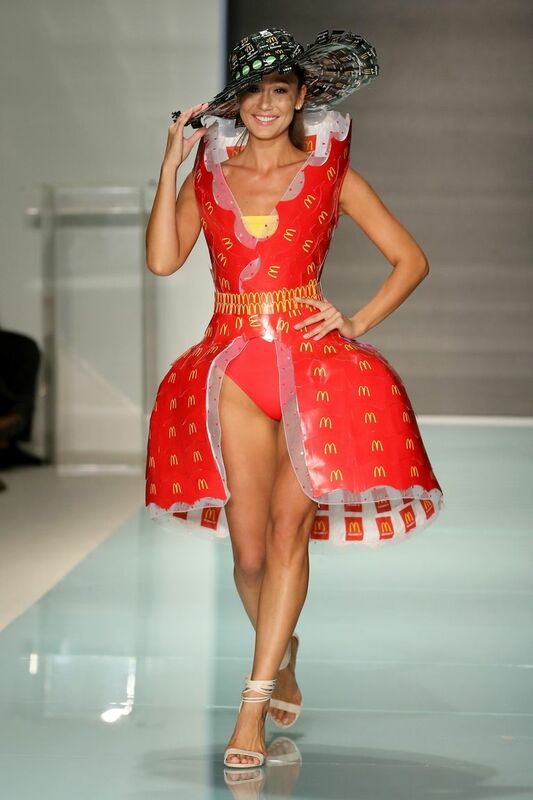 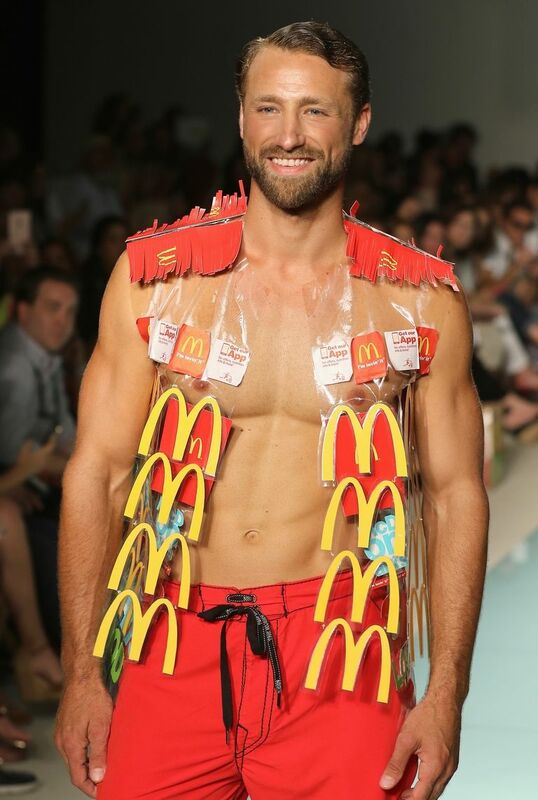 At Miami Swim Week on Thursday, McDonald’s thrilled everyone when a group of male and female models hit the runway in couture-worthy wrapper capes, shirts, and vest made entirely with McDonald’s Cartons. 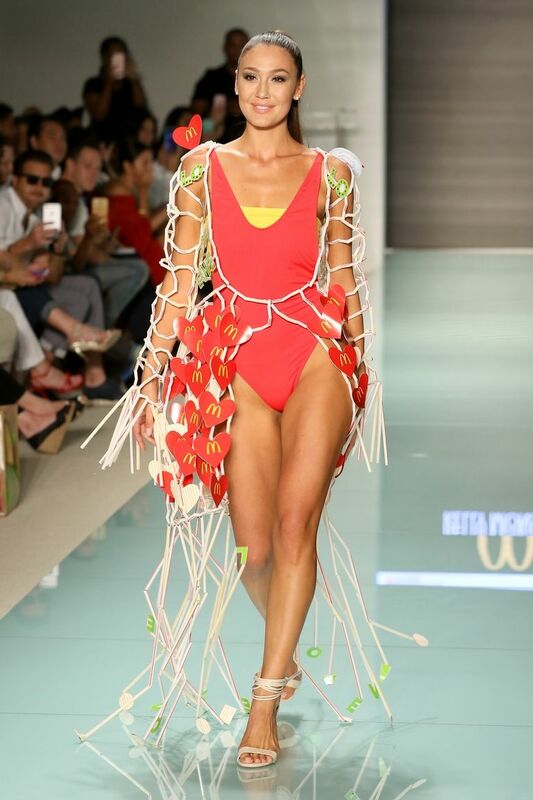 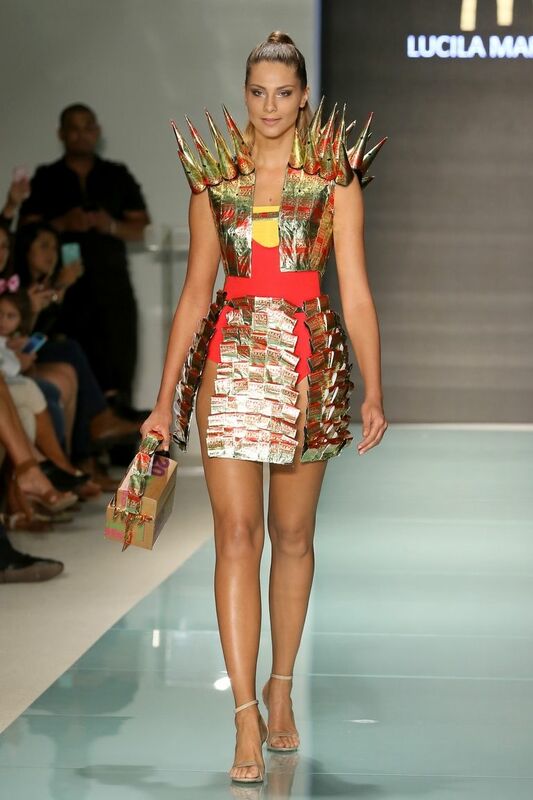 According to the reports, a South Florida McDonald’s franchisee tapped students of Miami International University of Art and Design to design clothes made entirely from their brand packaging. 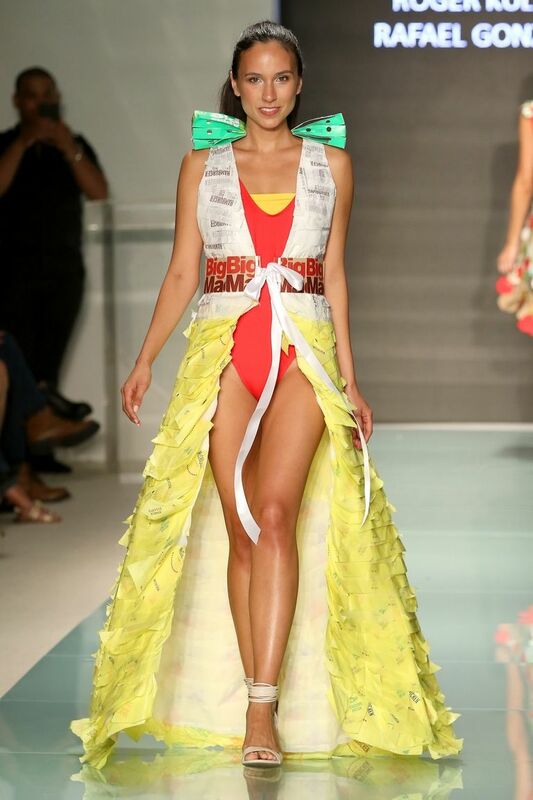 Actually, if you pass these pieces of art for high fashion designing, you’re committing no offense because the collection is dubbed McDCouture.